Due to dedicated innovation from SNOWSOUND® Technology, a brilliant series of acoustic panels are available, ideal for absorbing irritating sounds and improving the working area. These panels improve acoustics through avoiding reverberation and achieving selective absorption through different densities of material. The double-sided design and ‘A-Rated’ Acoustic level indicate excellence, tailored to be efficient whilst occupying only a minimal space; suitable for even the busiest offices. Available in a range of colours and installation methods, they also can transform the aesthetics of any room. 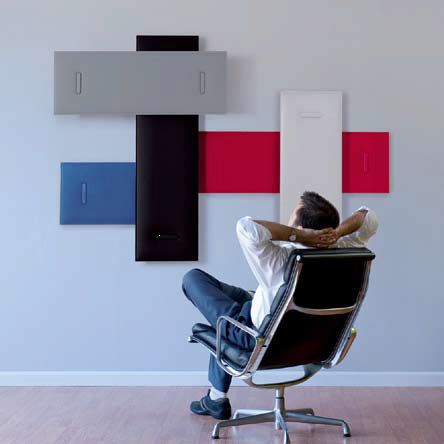 These are designed with modern demands in mind; with the panels being eco-friendly, easy to maintain and available in a number of different designs, including Mitesco, Cocker and Corista. Dividers and wall installations are also possible. 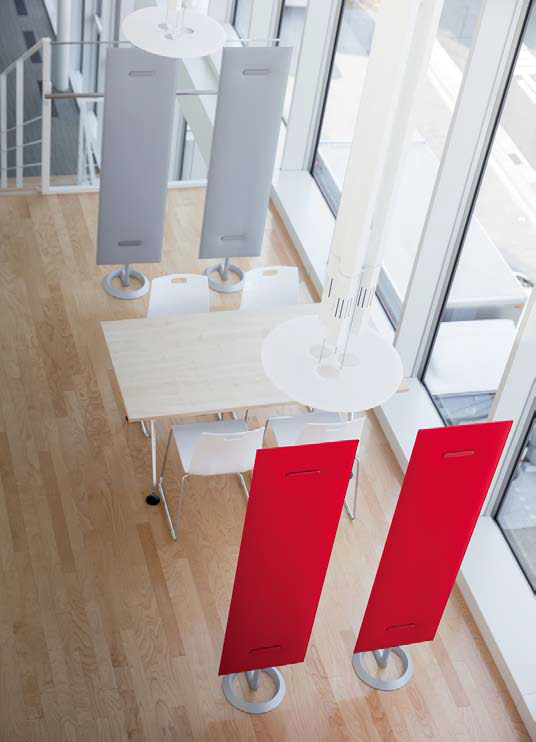 This allows for an effective form of sound-control furnishing which can feature in a range of workspaces. A high performing panel which combines sound absorption with aesthetics. It is not only a patented modular system capable of instantly improving the acoustics of a room, but is a stunning piece of modern furnishing in itself. A number of colours, compositions and designs are available. A light polyester panel which can be easily installed in a range of environments. It is a simple design with maximum acoustic control. Available freestanding, with hanging options, it makes a sleek addition to any room. A sound-absorbing light weight panel which is specially designed to deal with sound modulation; ideal for recording studios. Available with a powder-coated steel easel, this allows for the greatest ease of transportation and assembly. SNOWSOUND® technology meets a phone-both design – creating the perfect unit for making and taking calls, without the sound reverberations. Cocker is a wall-hanging booth, ideal for standing use, complete with internal polyester panels for improved sound-absorption. Here at Bevlan we are proud to provide a range of the latest workplace solutions and innovations, for a more productive and well-furnished environment. That is why we provide SNOWSOUND® Technology Acoustic Panels, in multiple designs, at some of the most competitive prices. Our high levels of customer service and passion to ensure that you receive a product you are happy with, mean that clients return to us time-over.